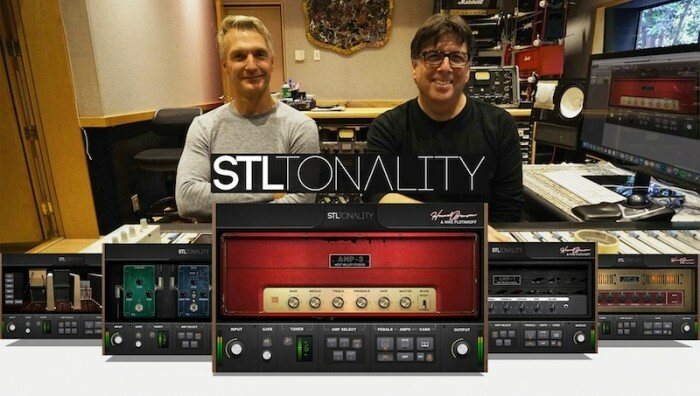 STL Tonality 에서 Howard Benson Guitar Plug-In Suite 이라는 제품이 발표되었습니다. all-in-one guitar plug-in suite 으로 가격은 $129.99 이며 STL online store 에서 구입이 가능하다고 합니다. 그리고 VST/AU/AAX plug-in 포맷을 모두 지원합니다. 이 제품은 GRAMMY®-nominated producer and multi-instrumentalist Howard Benson 와 GRAMMY®award-winning engineer/mixer Mike Plotnikoff 이 참여하여 만들어지 기타 앰프 시뮬레이션 제품입니다. 엔지니어 Mike Plotnikoff 는 Bon Jovi, Santana, My Chemical Romance, Daughtry 등등의 앨범에 참여하여 multi-platinum hits 앨범을 많이 만든 엔지니어 입니다. 미국 아메리카 스타일 기타톤을 만드는데 매우 탁월한 능력이 있는 엔지니어 입니다. 이 제품이 발표되고 Guitarist Ola Englund [Feared, The Haunted, Six Feet Under] 은 아래와 같이 코멘트 했다고 합니다. Ola Englund 는 일렉기타 전문 YouTube 운영자로서 유튜브 구독자 26 만명에게 이 플러그인이 나오자 마자 리뷰를 하였습니다. Benson 와 Plotnikoff 는 자신들이 가진 개인 private amp collection 과 vintage overdrive, delay, and reverb effect 들을 총망라하여 몇달동안 기타톤을 잡는데 노력해서 만든 제품이라고 합니다. 그리고 40 여개의 exclusive preset 들을 추가 했다고 합니다. 5 amplifier modules meticulously developed from 5 of Benson's personal go-to amp's. Using the most advanced modelling algorithms, users can experience real-time simulations of the duo's actual amps. An unrivalled stomp section that gives users access to 3 of Benson and Plotnikoff's personal Overdrive, Delay and Reverb Pedals. A stunning cab room featuring Howard's personal collection of cab's and speakers, including a built in IR loader for external impulse responses. 32 preset 은 이 2사람이 참여한 biggest album guitar tone 을 수록한 것이고, 그외 13 preset 은 플러그인 자체의 STL Tone 으로 새로 만든 오리지널 기타 톤들이라고 합니다..